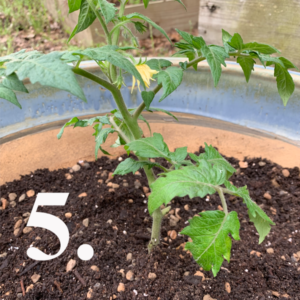 It’s not too late to plant a patio tomato! Here’s how to do it. 1. Pick your tomato. 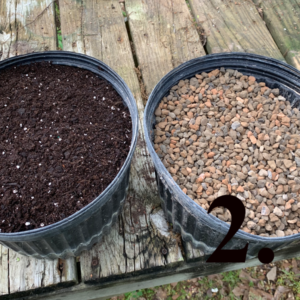 I chose “Patio” hybridized specifically for container growing and a rather large pot. This one holds about 8 gallons of soil. It’s way to big for this little plant but never fear the tomato will soon fill it up. I also put some large pebbles in the bottom for drainage. 2. I used Premium Potting Mix and Expanded Shale. 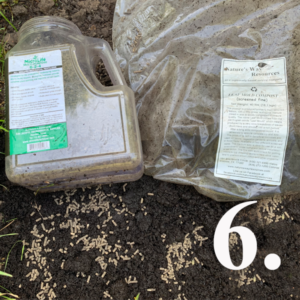 The potting mix has fertilizer already mixed in it and the Expanded Shale aids in water retention and aeration. 3. 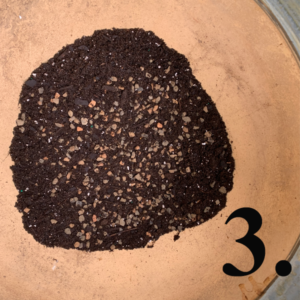 Mix the two together and then only fill the pot about 1/3. 4. 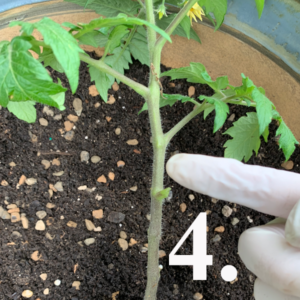 If you have a tall spindly tomato trim off the lower leaves. And then plant the tomato as deep as indicated as shown in the next step 5. 5. 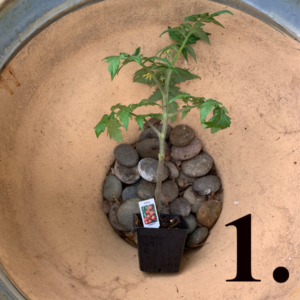 As the tomato grows continue to fill the pot with Nature’s Way Compost and Fertilizer with MicroLife 6-2-4.